Prices for taxis in Chester (Hackney Carriages) are set by the Cheshire West and Chester Council. Monday to Saturday, journeys commencing between 6am and 10pm. Christmas and New Year Period. For each complete journey between 6pm and 10pm on 24th December and the 21st December, from 6am 26th December until 6am 27th December, from 6am 1st January until 6am 2nd January. Christmas and New Year Period. For each complete journey between 10pm on 24th December until 6am 26th December, 10pm 31st December until 6am 1st January. 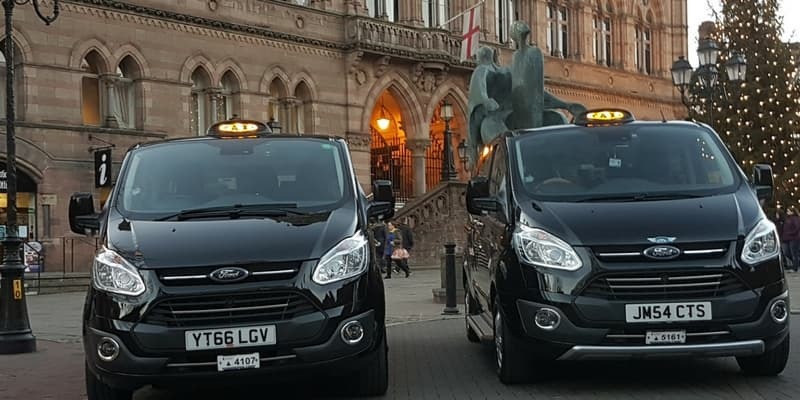 If you are looking for a reliable Taxis in Chester give us a call on: 01244 421 024 ,for a quotation or to book a taxi in Chester try our new online systems!